China has just layed out a series of regulations for provincial voluntary carbon reduction programs, potentially signalling its intentions to develop a national carbon market. The new regulations can be found in the National Development and Reform Commission’s document entitled The Interim Regulation of Voluntary Greenhouse Gases Emission Trading in China. They will be applied to provinces currently pursing trial carbon offsetting and cap-and-trade schemes. The provinces will now have a series of standards and regulation to follow as they roll out their carbon reduction programs. The regulations are meant to help provinces apply carbon reduction principles with “openness, fairness, impartiality, and good faith.” The new framework also provides provinces the means to measure carbon reductions and ensure the results are transparent. Results will be reported to the China’s National Development and Reform Commission (NRDC) and independently validated by qualified validation organizations. In short, the Chinese government is laying down a standardized system for measuring, analyzing, and presenting carbon reductions in the country – a precursor to a potential compulsory national carbon market. Of course, several countries will be watching with particular interest as China grows closer and closer to a national carbon market. With a country developing as rapidly as China, it is crucial that effective environmental measures are imposed. And so far, China has expressed its desire to step up to the plate when it comes to the environment. It has already set itself ambitious goals for clean energy in the coming years and recent polls suggest residents favor the environment over the economy. The recent carbon market regulations are the latest indication that China plans on investing in the green economy in a big way. 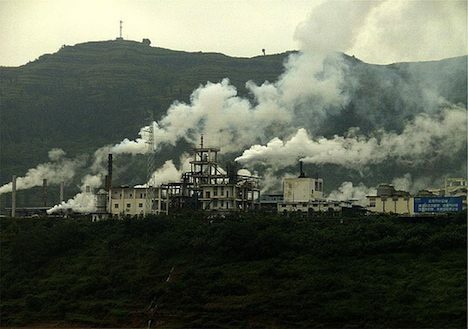 What are your thoughts on China’s environmental policies? Do you think the country will emerge as a leader in the green economy?